Dean Hersey goes island hopping with this early season leg stretcher over some of the Isle of Wight’s green, rolling hills. It’s late winter and the monotony of washing bikes and kit is wearing thin; the promise of spring not quite in full effect. Winter means fitting both riding and the chore of trail maintenance into a few short hours of daylight. 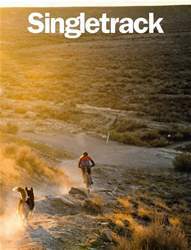 The one thing keeping the majority of our band of riders together is the talk of summer trips and planning of adventures further afield. With most of the country fulfilling the picture-perfect winter postcard setting, I got the shout from Chipps to host a ride down south. And you don’t get much more ‘south’ than the Isle of Wight. 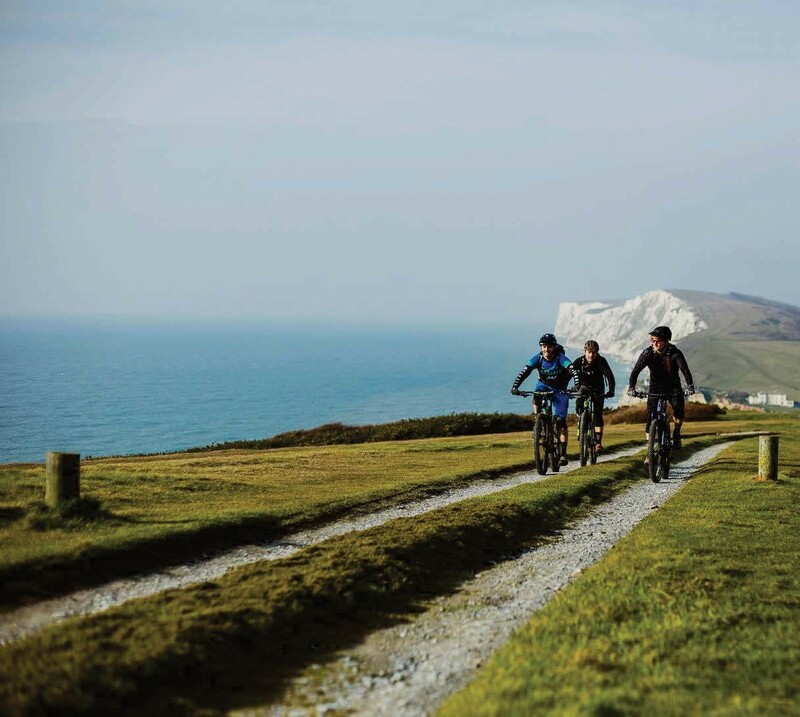 While we don’t boast great towering peaks, what we lack in technical trails we can more than make up for with stunning scenic rides that travel through quiet and charming villages along some of the most beautiful coastline in the country. After all, how many other rides start and end with a boat ride? With Martyn, Jon and Adam endlessly busy expanding Rockets and Rascals, the local bicycle emporium in my corner of the world, our weekend rides and evening blasts together have been put on the back burner for the past couple of months. After a week of dry weather, I knew they wouldn’t refuse the promise of a boat ride over to the Isle of Wight and a reason to reminisce over last summer’s escapades there over a pint. 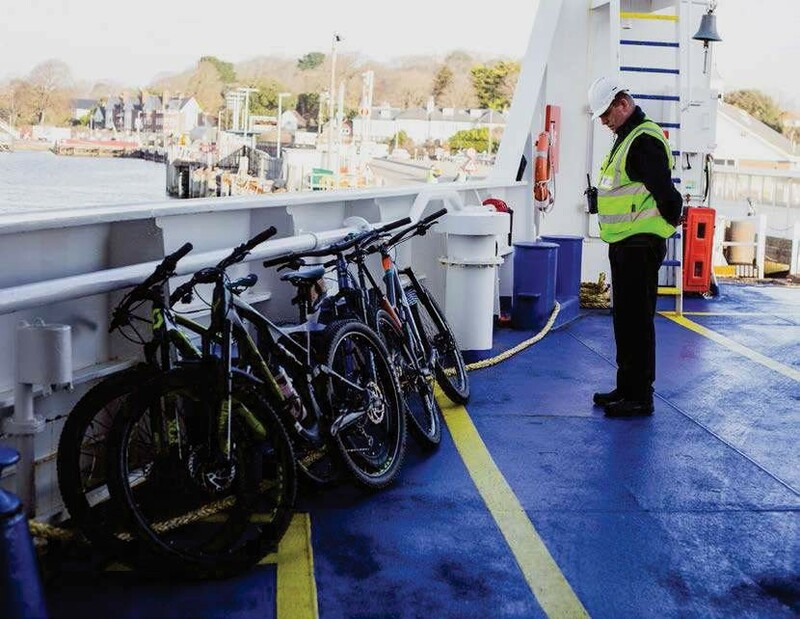 Mountain bikes are dug out from the backs of garages, loaded into the van, and we head for Lymington. With no time to waste and the ferry already in its berth, we hurry along to the ticket office. Reaching the ramp just in time for it to go up, we hear the crackle of the captain’s voice booming safety info over the tannoy, lean the bikes up and head to the lounge. Our crossing is calm with a beautiful blue-sky day, so we know our luck is in for today’s adventure.